Portland’s plethora of landmark buildings weren’t designed in a vacuum. In this lecture, Thomas Hubka will provide an overview of some of our most notable Portland buildings and the architects and architectural styles that influenced their designs. You’ll learn about buildings such as the Benson Hotel, designed by architect A. E. Doyle, but in a manner that was very similar to a hotel in Chicago. Doyle’s beloved U.S. National Bank pays homage to a bank building in New York City. Noted architects, like Henry Hobson Richardson, also influenced Portland architecture from the earliest days. 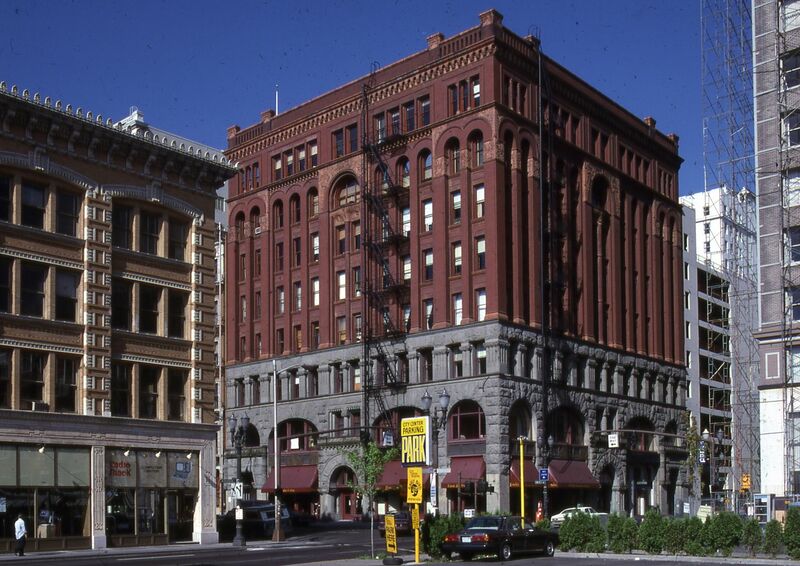 A number of downtown buildings show how Richardson’s designs had made their way to the West Coast by the early 1890s. And did you know we have a bank from the 1910s that was truly designed to look like a classical Greek temple? You’ll learn about these buildings and more as Professor Hubka helps us connect the dots, between our architectural heritage and the people and buildings that influenced their design. Hubka has taught history courses at professional schools of architecture for over thirty years, including most recently at Portland State University, the University of Oregon, and Portland Community College.